Myrna Dawson is a Professor of Sociology and Canada Research Chair in Public Policy in Criminal Justice, Director of the Centre for the Study of Social and Legal Responses to Violence (www.violenceresearch.ca), University of Guelph. She is also Director of the Canadian Femicide Observatory for Justice and Accountability (www.femicideincanada.ca), Co-Director of the Canadian Domestic Homicide Prevention Initiative with Vulnerable Populations (www.cdhpi.ca), and President of the Canadian Sociological Association. Dawson has spent the past 20 years researching social and legal responses to violence with emphasis on violence against women and femicide. 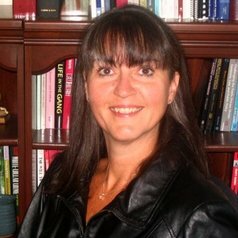 She is the author/co-author/editor of numerous publications and reports including Woman Killing: Intimate Femicide in Ontario, 1991-1994; Violence Against Women in Canada (Oxford University Press, 2011 with Holly Johnson); and Domestic Homicides and Death Reviews: An International Perspective (Palgrave Macmillian, 2017). She has published in various journals, including Trauma Violence & Abuse, Child Abuse & Neglect, Violence Against Women, Journal of Research in Crime & Delinquency, and the Journal of Interpersonal Violence.